Couples Counselling: Should You Skip It? Our philosophy, on couples counselling, is that relationships are best worked on one person at a time. We know that anytime one person in the relationship changes, the entire relationship changes. Just how that relationship will change is beyond prediction–the only certain thing is that it will change. It’s that simple. Period. When we change, the people around us change too, and then those people effect change in others. This means that when you invest your energy into breaking your patterns, not only do you benefit, but so do the people around you. After you’re done working through your stuff, you’ll be able to get a hold of life differently–you’ll live differently, love differently, and lead others differently. Will it all be roses and sunshine? Hell no. Life will still have bumps; the difference is that you’ll navigate the bumps skillfully. The success rate of couples counselling is really low. Dr. Baucom studied the outcome rates of couple counselling. 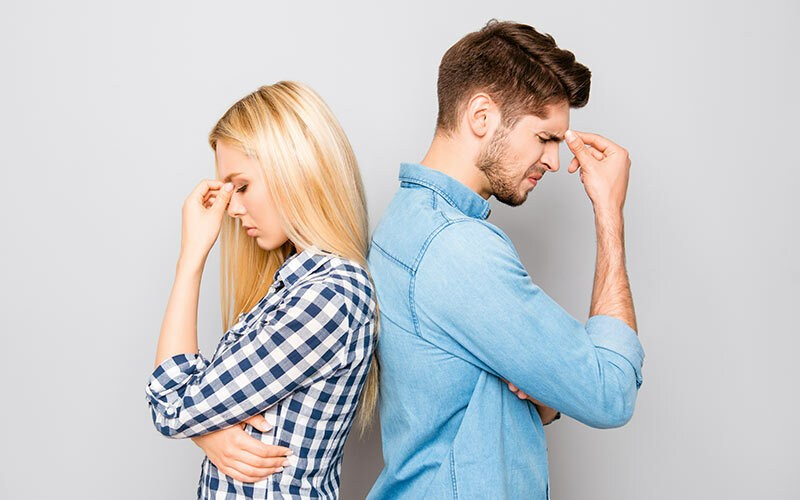 The research concludes that 50% of people who go to couples counselling end the relationship (same as the national divorce average), 25% reported they felt worse off, and 15-18% reported improvement. You’re the one wanting and willing to change, but that doesn’t mean your partner is ready or willing. Haranguing or gently encouraging someone into therapy never works–ever. If it’s your idea to go to counselling, then lead by example and get your own work done. If you break the power of limiting beliefs in your own life, even if the relationship ends, you haven’t lost who you are or the work you’ve completed. By doing your own work, you’ll reap the rewards of your hard work in the future right relationship. We’re not here saying that couples therapy is a waste of time. Obviously, there are couples who benefit. We’re saying that the couples who benefit are the exception, not the rule. The relationship is under 6 years old. All partners are equally and highly committed to the relationship. Gender roles are fluid. The less stereotypical your relationship roles, the better. There is no history of relationship violence between you and your partner. Neither partner is struggling with an addiction. Or, if a partner is struggling, that partner is attending individual therapy. Basically, couples who have less distress are the ones who do better in couples therapy. Even if you checked the box in all of the above categories, it doesn’t mean that couples therapy will be effective. What might end up happening is that your relatively stable pattern of discontent gets magnified through the lens of couples therapy. However, if you’re in this category, and you still want to press ahead with couples therapy, then do your research well. Not every therapist is trained in couples therapy techniques or theory. We’d recommend finding a therapist trained in emotionally focused therapy (EFT). EFT seems to have good results, at least in the short-term. The long-term effects of EFT are not yet well-established. Whether you want to try couples therapy or individual therapy we’re here to help. While we don’t offer couples therapy, one of our therapists can meet with you and your partner for a risk-free consultation. During this consultation, we will provide you with professional recommendations, resources, and, if needed a referral to a couples therapist. Andrew Christensen, Ph.D., et al., “Marital Status and Satisfaction Five Years Following a Randomized Clinical Trial Comparing Traditional Versus Integrative Behavioral Couple Therapy,” Journal of Consulting and Clinical Psychology, Vol. 78 (2), 2010. Johnson, S. (2008). Hold Me Tight: Seven conversations for a life time of love. New York: Little Brown.